The Skilled Nomination program for the Australian Capital Territory (ACT) has been recently closed on March 25, 2014. The program has met the targets for the fiscal year 2013-2014 and thus ACT closed the Skilled Nominations program. 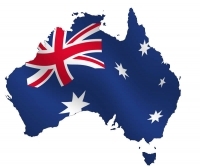 Until the skilled nomination program restarts in July 2014, Australian Capital Territory will not accept any more skilled nomination applications under the Skilled Nominated Visa Subclass 190. The exemption to the rule is only for capable applicants who are living in Canberra and fulfill the eligibility criteria in place for onshore applicants. While closing the skilled nomination program on 25th March, 2014, ACT has announced that the applications that are filed prior to closing date will be processed in the queue order. But, due to the fact that ACT has received a great number of applications prior to the introduction of new Occupation List in the month of February 2014, it is likely that all applications that are in the pipeline will take a minimum of 4-6 months time for being processed. The Australian Capital Territory will now join New South Wales in reaching the target applications for this financial year under the Skilled Nominated Visa Subclass 190. The remaining Australian states and territories will accept applications for sponsorship both under the Skilled Regional Sponsored Visa Subclass 489 and Skilled Subclass 190. Though visa conditions remain unchanged, for selecting the candidates for nomination, each Australian state and territory has its own process.